Advanced signal conversion (up- or down-scaling) products for the highest-quality match of input signals to destination display resolutions. - Controls − Front panel & on−screen menus. 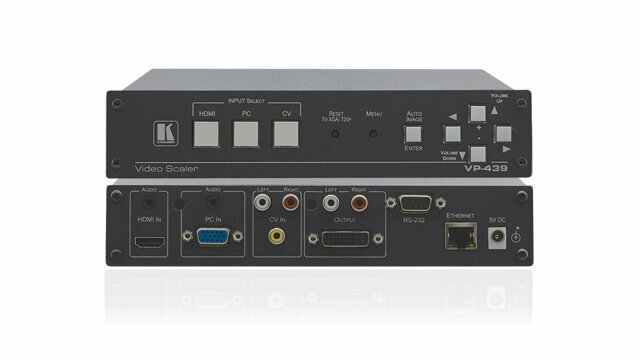 1 CV 1 HDMI/DVI - Max Resolution − 1080p/WUXGA. 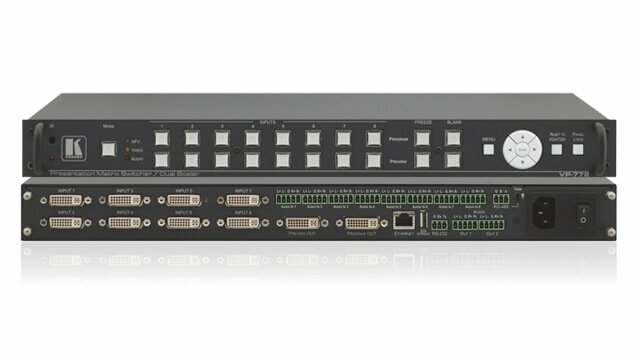 Video presentation scalers and switchers with multiple analog and digital inputs, scaled up or down to a single analog and/or digital output display format. 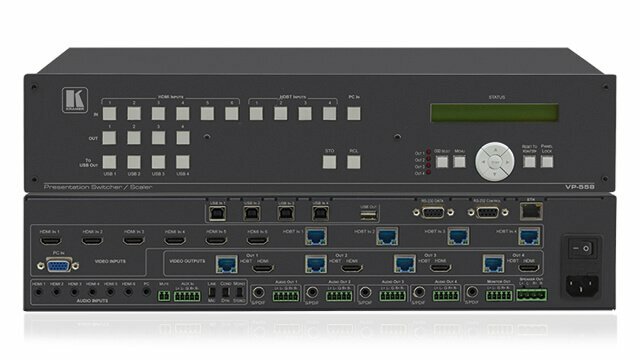 - Control − IR, Ethernet & RS−232. - Built−in Test Pattern Generator. 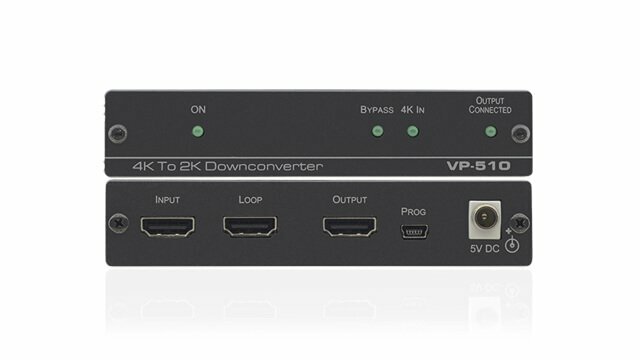 Down convert VGA, HD-SDI, HDMI, and DVI computer video signals to a composite video signal.